£7,013 off a Renault Laguna, £7,043 off a Rande Rover 3.6 TDV8 and a fantastic £8,563 off a Jaguar S-Type 2.7 V6 diesel. These models are fitted with 1/2 Leather Trim, 16" Alloys, ABS, Air Bags, CD player, Central Locking, Climate Control, Cruise Control, Electric Mirrors, Electric Windows, Power Steering, Radio, Traction Control. Available in choice of colours. These NEW models are fitted with ABS, Air Bags, Alloys, CD, Central Locking, Electric Mirrors, Electric Windows, Power Steering, Radio, 17” alloys. Available in a Choice of Colours. These NEW models feature 16" Alloys, ABS, Air Bags, BMW Business radio with single CD player, Central Locking, Climate Control, Cruise Control, Electric Mirrors, Electric Windows, Front sliding armrest, Metallic paint, Power Steering, Radio, Rain sensor and automatic driving lights control, Traction Control. Available in a Choice of Metallic Colours. These models are fitted with Air Conditioning, Central Locking, CD Player and Radio, Airbags, Electric Windows and Mirrors, Power Steering, Available in a Choice of Two Coat Metallic Colours. These models are fitted with 17" Alloys, ABS, Air Bags, CD player, Central Locking, Climate Control, Cruise Control, Electric Mirrors, Electric Windows, Power Steering, Radio, Traction Control. Available in a Choice of Metallic Colours. These new models feature Air Conditioning, CD Player & Radio, 17” Alloys, Airbags, Electric Windows and Mirrors, Central Locking, Power Steering, Cruise Control, Traction Control. Available in a Choice of Metallic Colours. These new models come fully equipped with 18" Alloys, ABS, Air Bags, CD, Central Locking, Climate Control, Cruise Control, Electric Mirrors, Electric Windows, Power Steering, Radio, Traction Control. Available in a Choice of Metallic Colours. These models are fitted with 17" Alloys, ABS, Air Bags, Bluetooth telephone connectivity, CD player, Central Locking, Climate Control, Cruise Control, Electric Mirrors, Electric Seats, Electric Windows, Front park assist, Leather Trim, Parking Sensors. Available in Lunar Grey Metallic Paint. These models are fitted with ABS, Air Bags, Air Conditioning, CD, Central Locking, Cruise Control, Electric Mirrors, Electric Windows, Power Steering, Radio, Traction Control. Available in Black. These convertible models are fitted with 1/2 Leather Trim, 17" Alloys, 6 disc dash mounted CD autochanger, ABS, Air Bags, Air Conditioning, CD Multiplayer, Central Locking, Electric Mirrors, Electric Windows, Heated Seats, Power Hood, Power Steering, Radio, Traction Control. Available in Silver. These convertible models include folding hardtop, leather upholstery. 17” alloy wheels. Available in a choice of colours. These convertible models are fitted with 17” Alloy Wheels, Air Conditioning, Electric Windows & Mirrors, Power Hood, Central locking, CD Player & Radio, Airbags, Power Steering, Traction Control, Available in a Choice of Metallic Colours. 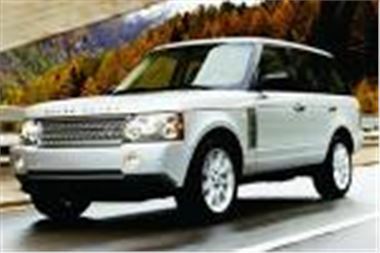 These models are equipped with 19" Alloys, ABS, Air Bags, Air Conditioning, CD player, Central Locking, Climate Control, Cruise Control, Electric Mirrors, Electric Seats, Electric Windows, Heated Seats, Leather Trim, Multiplayer, Parking Sensors, Power Steering, Radio, Satellite Navigation, Sun Roof (Electric), Traction Control. Available in Java Black. These vans come fitted with Air Bags, Cassette Player, Passenger Seat, Power Steering, Radio. Available in White. These vans are equipped with ABS, Air Bags, Boarding, Bulkhead (Full), CD, Central Locking, Power Steering, Radio, Side Loading Door, Traction Control, and Twin Passenger Seat. Available in White.